What’s the fastest processor available for this desktop? How to install it? 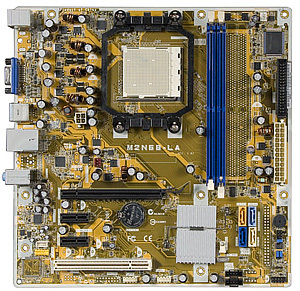 Only socket AM2+ processors are supported with this motherboard. Followed by clicking on 'Accepted as Solution' as it would help the community gain more knowledge and have a great day Ahead! Hello I purchased a AMD Phenom X4 9600 will this work? And is what specific graphics cards are available for this? And as mentioned previously HP doesn't recommend upgrades, so you could make these changes at your own discretion! If you wish to upgrade to other graphics cards, be sure to change/upgrade the PSU to either 300W or higher to support the same (personal suggestion). And if you wish to thank us for our efforts, click on the thumbs up for kudos. @Jo0402 yes, the 730 (DDR5 version) is all I could find that may work on a 250W PSU, however, I would personally suggest upgrading the PSU to upgrade to a better graphics card of your choice. Why we even debating about Hulu and Netflix. Any HP laptop can do that. If you have a laptop capable of running modern browsers, Hulu & Netflix will run smooth.